And you can do exactly that with an impactful and an impressive trade show booth that can represent you with a sense of prominence. 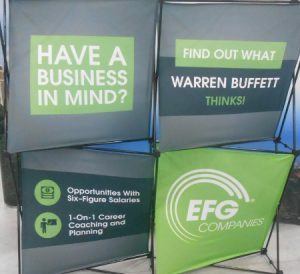 Saber Sign Solutions is a signage provider that specializes in trade show booths that are custom-crafted to suit your business’s brand message, timeline, and budget. 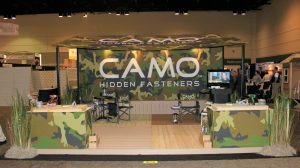 Fully customized trade show exhibits by Saber Sign Solutions give you the freedom to have your booth made exactly the way you want it. 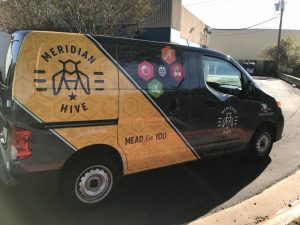 You can choose the design, material, construction, and arrangement of your booth elements so that your entire exhibit reflects your business’s unique personality. Each booth element is fabricated specially for your brand. 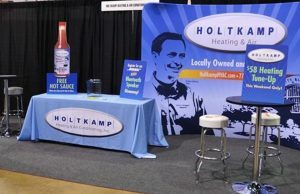 Saber Sign Solutions creates trade show booths as small as 10’x10’ and as large as 30’x30’. We also fabricate various materials like wood, acrylic, fabric, vinyl, aluminum, glass, steel, etc. All this so that you can give your visitors and customers an unforgettable experience. Saber Sign Solutions offers a number of prefab trade show booth packages to choose from for your ideal booth size. We can quickly get those over to you so you can start prepping for your event. 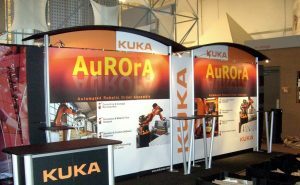 Compared to fully custom-made trade show exhibits, prefab kits by Saber Sign Solutions may not give you as much flexibility, uniqueness, and variety when it comes to setting up your booth, but with the right design and great layout, they are still pretty effective when it comes to trade show marketing. And in the long run, they’re still more cost-effective than renting out a booth. Modular exhibits by Saber Sign Solutions allow you to create many designs with all sorts of textures, which allows you to set your booth up in a way that conveys your brand message clearly and cohesively. 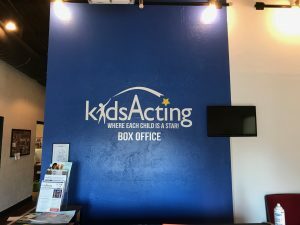 We also make it easier for you to literally set up your booth because we source durable but lightweight materials that can easily be assembled by your staff. And if you have issues with setup, we at Saber Sign Solutions are here to help you out. 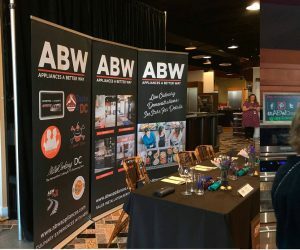 Saber Sign Solutions has been a trusted local provider of trade show booths for a long time now, so we know how important it is for business owners get the exhibit that they need and want. And this is exactly what we’re all about. So before we do anything, we first make sure that we know what your business is about, what your objectives are, what your expectations are, what your timeline is, and how much you are willing to spend for your trade show exhibit. Coming up with a high-impact trade show exhibit is a big challenge, but that’s what Saber Sign Solutions is here for! We’re here to make the selection, design, and installation processes a lot easier for you. So whether you need a fully customized trade show booth, a prefabricated package, or a modular system, we’ve it for you and we’re ready to help you out. Call Saber Sign Solutions today at (512) 861-2699 for your Free Consultation with a Tradeshow Expert!